The Northrop Grumman E-2D Advanced Hawkeye completed its first aerial refueling earlier this summer. 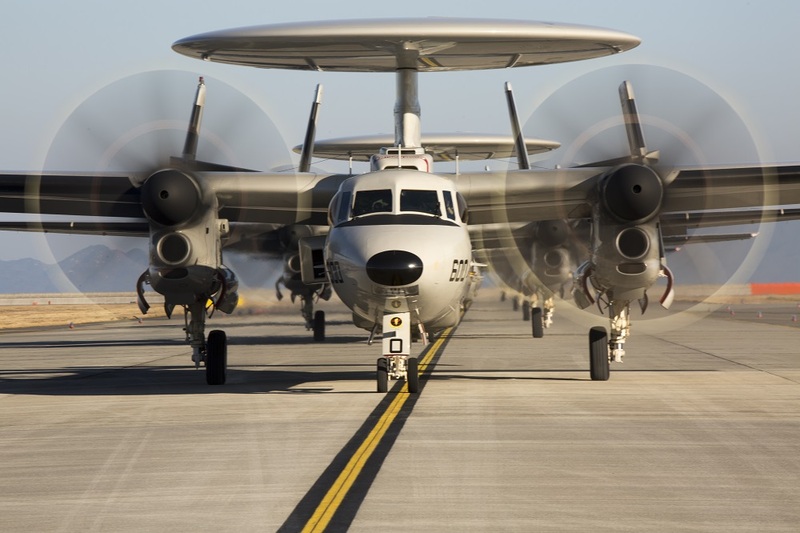 The new capability, which will be eventually be retrofitted onto the U.S. Navy’s entire E-2D fleet, will greatly increase the range and endurance of the Advanced Hawkeye. That is particularly important as the United States focuses more on the Asia-Pacific region, where the vast distances over the Pacific are increasingly forcing the Navy to look for way to extend the reach of its carrier air wings. 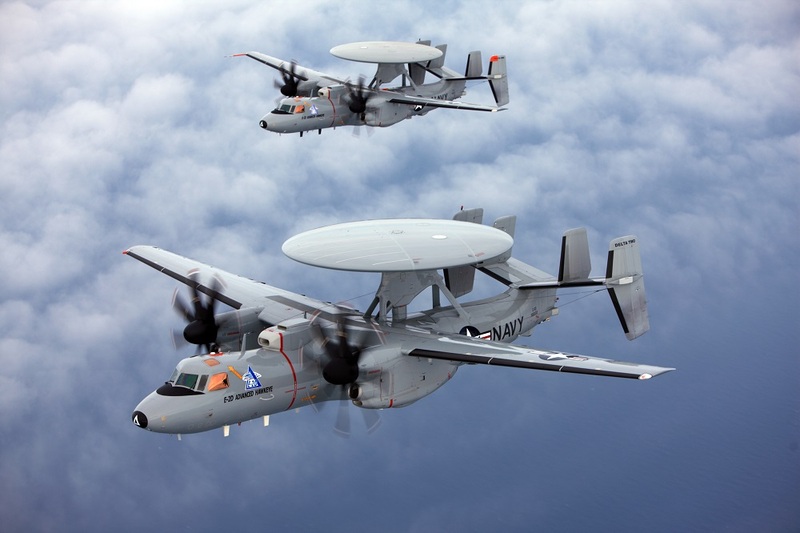 “Passing fuel for the first time airborne is a significant milestone in the development of this critical technology for the E-2D, which increases the range and persistence of command and control the E-2D provides to U.S. and allied forces,” Capt. Keith Hash, E-2/C-2 Airborne Tactical Data Systems (PMA-231) program manager, said in a statement. According to Northrop Grumman and the U.S. Navy, the first E-2D equipped with aerial refueling successfully received its first in-flight fuel transfer from a tanker aircraft on July 14. “During the four-hour flight, the pilots performed 10 dry plugs and two wet plugs, resulting in the successful transfer of more than 1,700 pounds of fuel from a U.S. Navy KC-130 Hercules to the E-2D Advanced Hawkeye,” reads a Northrop Grumman statement. There are two additional aircraft in the aerial refueling test program, which is part of U.S. Navy contract awarded to the company in 2013. All newly built E-2Ds will start to receive the aerial refueling systems modifications starting in 2018. Older aircraft already serving in the fleet will be retrofitted. The new system is set to become operational in 2020. 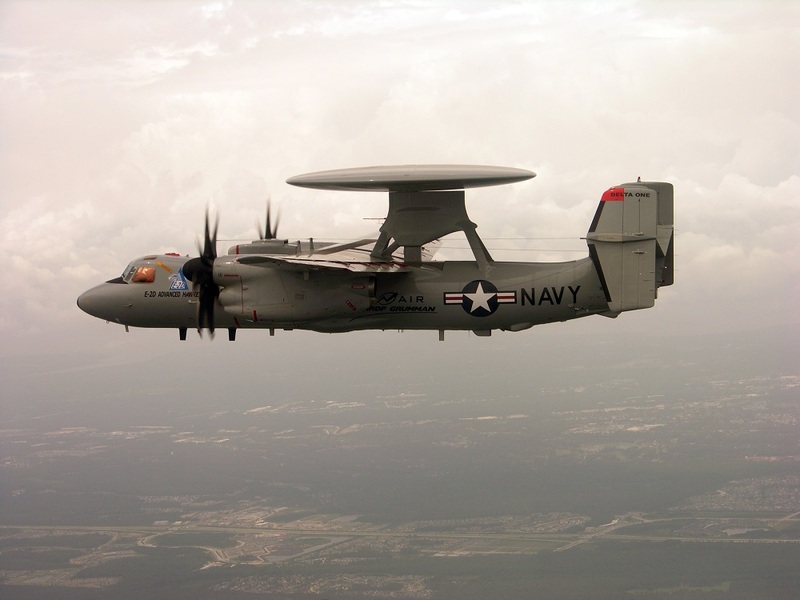 The E-2D’s Lockheed Martin AN/APY-9 UHF-band radar is the central feature of the Advanced Hawkeye. UHF-band radars operate at frequencies between 300MHz and 1GHz, which results in wavelengths that are between ten centimeters and one meter long. Typically, due to the physical characteristics of fighter-sized stealth aircraft, they must be optimized to defeat higher frequencies in the Ka, Ku, X, C and parts of the S-bands. There is a resonance effect that occurs when a feature on an aircraft — such as a tail-fin tip — is less than eight times the size of a particular frequency wavelength. That omnidirectional resonance effect produces a “step change” in an aircraft’s radar cross-section. Effectively, what that means is that small stealth aircraft that do not have the size or weight allowances for two feet or more of radar absorbent material coatings on every surface are forced to make trades as to which frequency bands they are optimized for. That would include aircraft like the Chengdu J-20, Shenyang J-31, Sukhoi Su-57 PAK-FA and, indeed, the United States’ own Lockheed Martin F-22 Raptor and tri-service F-35 Joint Strike Fighter. Only very large stealth aircraft without protruding empennage surfaces — like the Northrop Grumman B-2 Spirit or the forthcoming Long Range Strike Bomber — can meet the requirement for geometrical optics regime scattering. Effectively, that means the E-2D’s AN/APY-9 radar can see stealth aircraft like the J-20 or J-31. Pentagon and industry officials concede that low-frequency radars operating in the VHF and UHF bands can detect and even track low-observable aircraft — that’s just physics. But conventional wisdom has always held that such systems cannot generate a “weapons-quality” track — or in other words, are unable to guide a missile onto a target. “Poor resolution in angle and range … has historically prevented these radars from providing accurate targeting and fire control,” Westra wrote. However, electronic scanning and new signal processing techniques have mitigated those shortcomings to an extent. And there are other techniques in development, such as linking multiple low-frequency radars via high-speed data links, which might enable those radars to generate weapons-quality tracks. But industry officials say those technologies are not ready for prime time. Yet it is possible that the U.S. Navy and Lockheed may have already solved the problem. The service openly talks about the E-2D’s role as the central node of its NIFC-CA battle network to defeat enemy air and missile threats. Under the NIFC-CA “From the Air” (FTA) construct, the APY-9 radar would act as a sensor to cue Raytheon AIM-120 AMRAAM air-to-air missiles for Boeing F/A-18E/F Super Hornets fighters via the Link-16 data link. Moreover, the APY-9 would also act as a sensor to guide Standard SM-6 missiles launched from Aegis cruisers and destroyers against targets located beyond the ships’ SPY-1 radars’ horizon via the Cooperative Engagement Capability data link under the NIFC-CA “From the Sea” (FTS) construct. In fact, the Navy has demonstrated live-fire NIFC-CA missile shots using the E-2D’s radar to guide SM-6 missiles against over-the-horizon shots — which by definition means the APY-9 is generating a weapons quality track. All of that means that the E-2D — paired with F/A-18E/Fs, F-35Cs or an Aegis cruiser — is the perfect weapon to defeat enemy stealth fighters like the J-20 or J-31. Thus, extending the E-2D mission radius and time of station just helps the Advanced Hawkeye become an even more effective weapon.